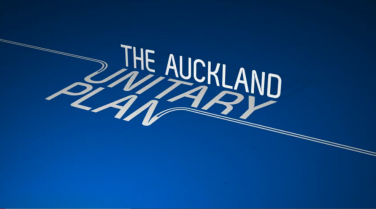 The Independent Hearings Panel has released the proposed Auckland Unitary Plan. How Council handles it from here will be interesting. The plan provides for levels of intensification well above those levels which caused near riots in the leafy suburbs recently. The removal of the pre 1944 overlay and the removal of a list of sites significant to Maori will challenge the ability to protect character houses and culturally significant sites. The plan is huge, over a thousand pages. It is a somewhat radical rewrite and my first impression is that it is extremely permissive, maybe excessively so although the housing crisis demands drastic action. I attended the briefing yesterday. It was somewhat shambolic with printed copies of the presentation not being available until most of the way through the presentation. The level of paranoia was high and clearly there were concerns about early release of information to the media before the 1:30 pm embargo. But with a release of information as complex as this elected members ought to have been able to get themselves as well briefed as possible before the inevitable questioning started. And there is no track changed version of the plan. I appreciate that the rewrite is significant but you would think that one could be provided. The one item that immediately caught my attention was the plan to move the Rural Urban boundary out west. The change is not large, three properties which are currently on the rural side of the boundary are to be rezoned to allow for more intensive development. One of the properties, the CDL property, is close to the Swanson Train station and near the Penihana development. The second is at 112 Simpson Road, Oratia and the third is at 121-123 Parrs Cross Road. Maps appear below. The rationale for the CDL property is that it is close to the Swanson Railway Station and intensification around the station is preferred. The other two properties are adjacent to developed urban areas and the Parrs Road property is also close to the Sunnyvale railway station. The desire for development in these areas is understandable but the precedent value of the developments are of concern. Are the changes permitted by the Heritage Area Act? Section 11 of the Act requires Auckland Council to give effect to the principles of the Act and the objectives. It is not easy to reconcile more permissive planning rules with the intent of the Act. The panel has also allowed the possibility of private applications to move the rural urban boundary something that previously was not possible. The combined effect of these changes means that the prospects of further threats to the Ranges are high. Obviously the local board will have to consider what to do. Auckland Council has made it clear that it does not want to hear from local boards while it deliberates the Unitary Plan. But our role to advocate for local communities may mean that we will have to try and make our voice heard.